The protection of wilderness in New York State’s Adirondack Park is an ongoing effort. Much has been accomplished since the adoption in 1884 of Article VII, Section 7, of the state constitution, known as the “Forever Wild” clause, but each day brings new challenges. 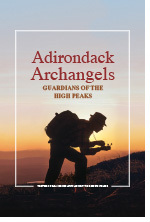 This collection of essays presents many of the prominent stakeholders—Adirondack archangels—whose passion and dedication continue to make a difference in the preservation of this unique resource. 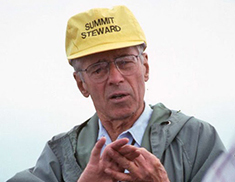 This book honors the memory of “archangel emeritus” Dr. Edwin H. Ketchledge (1924–2010), who in 1990 led the creation of the Adirondack High Peaks Summit Stewardship Program (SSP). 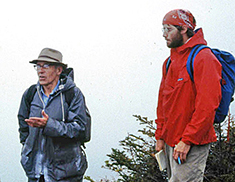 The SSP has since become one of the most acclaimed environmental programs in the Northeast, focused on educating hikers, protecting and monitoring the alpine summits, and training the next generation of environmental stewards. Despite its stellar reputation, SSP remains underfunded. In 2014, the #507 Fund (www.507fund.org) was established to provide a perpetual source of income for the program. All proceeds from the sale of this volume support the SSP. All production costs of this first edition are being underwritten by donors, including Domtar Corporation. Several thousand years ago, glaciers began receding from the Adirondack peaks. 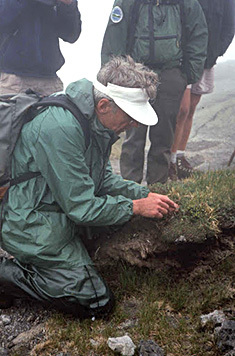 As the climate warmed, rare alpine plants took root. For thousands of years they thrived on the highest summits, under the harshest weather conditions. Then, in just the last 175 years, hikers arrived, enjoyed the breathtaking landscape, and for the most part ignored the fragile vegetation they were stepping on. 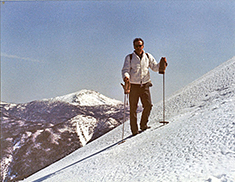 The 1960s and '70s, boom years for hiking and backpacking, brought so many uninformed climbers to the mountains that it was said they loved the summits to death. With Columbus Day, another successful Summit Steward season drew to a close. This was the 25th year of the Summit Steward Program, and it saw yet another record in terms of visitor contacts. More and more visitors are coming to the Eastern High Peaks. A Different Kind of Peak Bagger! 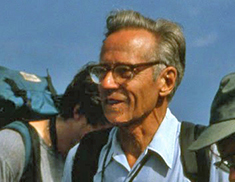 * More pictures of Dr. Edwin Ketchledge here with permission from his son, James Ketchledge.